These printables will look awesome in your kiddos bedroom. Furthermore, it's an affirmation that they can do anything they set their minds to. 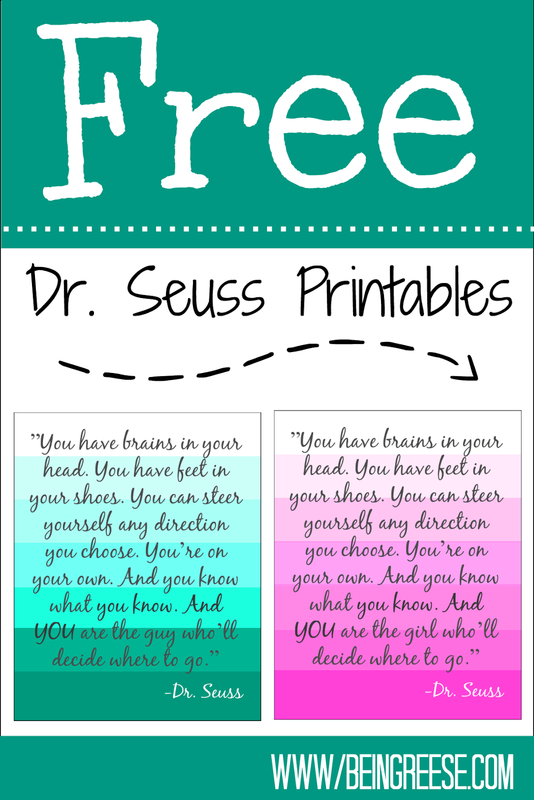 So enjoy these printables and remember to remind your kiddos that they are off to great places! 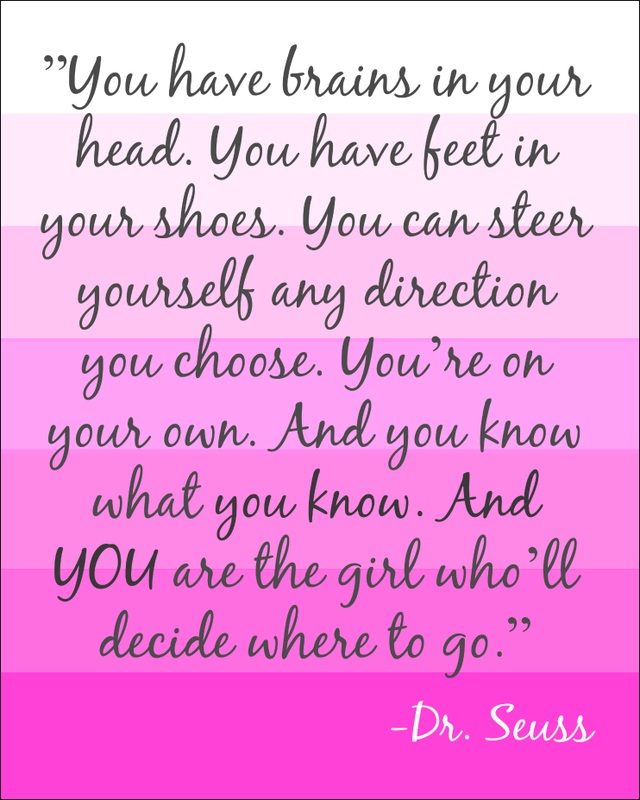 Love those Dr. Suess quotes! This is one of my favorite books of all time! And to prove it, my kids can probably quote most of it to you lol. I even let the baby listen to it in utero on audible. These quote printables are adorable. Thank you! I can't wait to hang this in the homework area I am setting up for my girls! 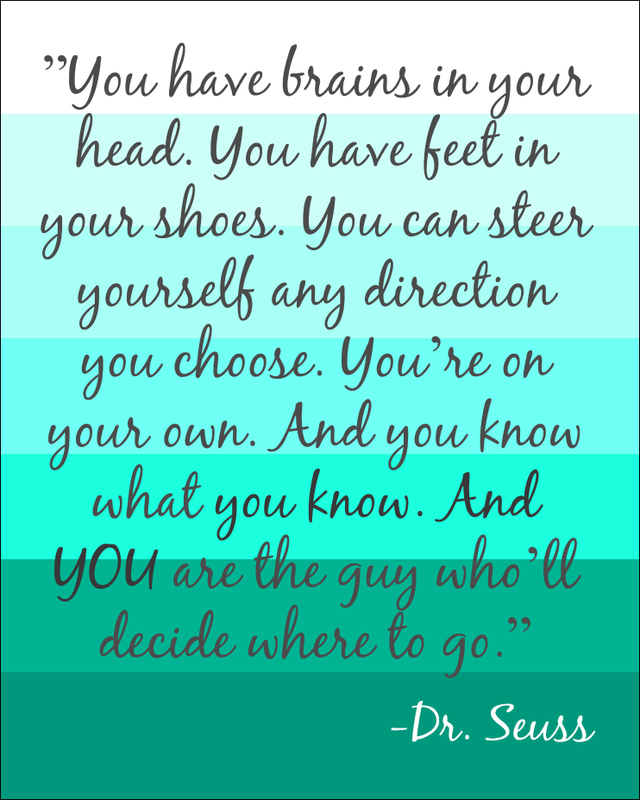 Dr. Seuss is my favorite author. I am using these printables in my home office!